You may also take the period of fasting as a time for biblical verse memorisation of Psalms, chapters from the Bible, and church melodies and hymns. (a) Take for instance the memorisation of the 111 verses of the Sermon on Mount. If you memorise three verses a day, you will finish with them in 37 days. (b) Memorise for example, the passages of the prayers of the Agbia hours that are 36 in number. If you memorise one passage a day you will complete them in 36 days. (c) Memorise the 8 hourly absolutions, as well as the common prayers like the Introductory prayer, thanksgiving prayer, psalm 50 and concluding prayer, as well as some passages that are unique in the morning or the evening prayers. (d) Memorise as many of the hourly psalms as you can, beginning with the short ones. (e) Memorise selected Bible verses, preferably with their references. If you memorise three verses a day, you will have managed to memorise 150 new verses every year during Lent alone. 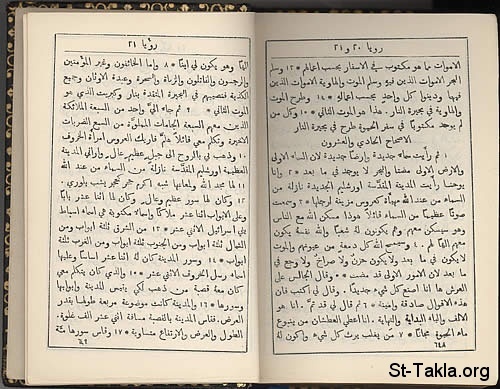 (f) You can memorise verses that begin with the letters of the alphabet, and we have discussed this issue before here on st-takla.org in other pages. You may also memorise verses that carry certain meanings, or refer to the Church Sacraments or to certain parts of the creed, or those relating to every virtue. (g) During a fast, you may memorise well known chapter of the Holy Bible such as (1 Cor 13), which is devoted to love; (Rom 12), which is a set of golden verses referring to several virtues; (1 Thess 5:12-23); (Eph 6:10-18) which are devoted to spiritual warfare and struggle (Phil 3:7-14), and the like from selected Bible chapters. (h) Use the verses you memorised for spiritual meditation and nourishment during your fast and use them for practical application. (i) Always recite the prayers and Psalms you have memorised in order to add them to your daily prayers. (j) In the same way, set yourself a schedule for the memorisation of Church melodies and hymns. Setting up a spiritual schedule, will make you realise the importance and value of this time of fasting, and will therefore treasure for use to your benefit.